The Concord Free Public Library will host an illustrated lecture about Thoreau’s lifelong love of trees—how he saw them, what he learned from them and what they meant to him—on Saturday, June 10, at 6:30 p.m. The event will be the main library at 129 Main Street. 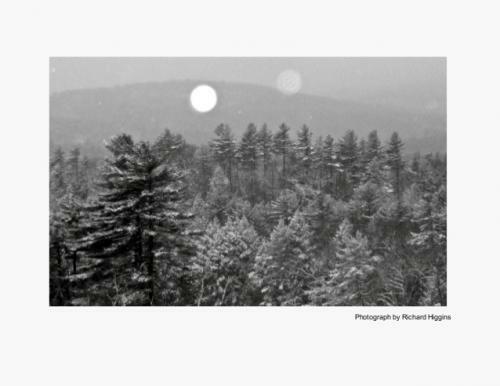 The talk by Richard Higgins of Concord is based on his new book, Thoreau and the Language of Trees, which was published by the University of California Press. Pairing Thoreau’s words with photos of historic Concord trees, Thoreau’s pencil sketches and his own photographs of trees in Concord today with, Higgins explores Thoreau’s many deep connection to trees. His talk looks at Thoreau’s keen perception of trees as a naturalist, the poetry he saw in them, his philosophical response to them and how they fed his soul. It will also give Thoreau’s take on actual trees—an iconic Concord elm, a stand of old-growth oaks in Boxborough, his beloved white pines and trees transformed by snow. “Trees were really a central thread connecting all part of Thoreau’s being,” Higgins said. Thoreau and the Language of Trees, published in April, has been widely praised, was reviewed by the Wall Street Journal and is already having a second printing. “Few books satisfy the eye, the mind, and the heart so fully as this one.” said Laura Dassow Walls, author of a new biography of Thoreau. The photographs in the book may be seen at www.thoreauandtrees.com. Higgins is a journalist, author and lecturer who has lived in Concord for many years. He was a staff writer for The Boston Globe for 20 years. In addition to the Globe, his writing has appeared in the New York Times, Atlantic Monthly, Christian Century, Smithsonian and the International Herald Tribune. He has also been a commentator on NPR. If you have any questions about the upcoming event, please contact Richard Higgins at (978)369-1895.